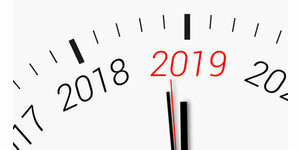 If a Louisiana lawyer were were to read just one post on this blog all year, this should be it. Here are the top seven1 developments in Louisiana legal ethics in 2018. In 2018, the Idaho Supreme Court Supreme Court joined six other states that have expressly declined to adopt the ABA’s 2016 model anti-discrimination rule. See ABA Center for Prof’l Responsibility, Policy Implementation Committee, Jurisdictional Adoption of Rule 8.4(g) of the ABA Model Rules of Professional Conduct (as of Sep. 19, 2018). To date, only Vermont has adopted the model rule, although twenty states have preexisting rules that are analogous to Model Rule 8.4(g). Id. 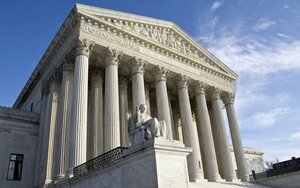 See generally Scott Flaherty, Several States Weigh ABA’s Anti-Discrimination Rule, Law.com (May 22, 2018). Moreover, the proposal of the subcommittee was also problematic. 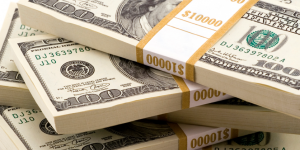 Granted, the subcommittee’s proposal was less problematic than the new ABA model rule. For example, it did not brand any sort of “harassment” as misconduct, and thereby avoided the myriad problems associated with the ABA anti-harassment standard. However, the subcommittee’s proposal still raised serious questions. It branded as “misconduct” purely negligent discrimination. And it inexplicably incorporated some of the ABA’s protected classes (race, religion, age, gender, sexual orientation, national origin, marital status, and disability), but excluded others (ethnicity, gender identity, and socioeconomic status). 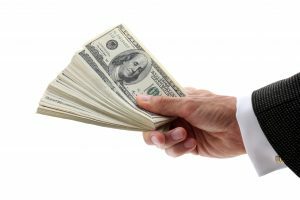 This is a sensible rule change that provides consistent and straightforward guidance as to how a lawyer must handle funds in trust that clearly belong to someone other than the lawyer, namely, to a missing or unidentified client or third person. It’s also good for the Louisina Bar Foundation. 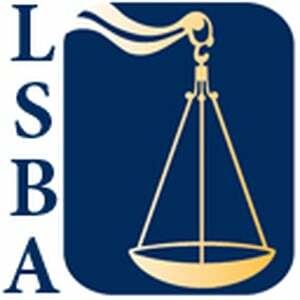 See Resolution 2, LSBA House of Delegates (May 6, 2016) (approved by the LSBA House of Delegates on June 9, 2016, and the LSBA Board of Governors on June 10, 2016). The Louisiana Supreme Court, however, rejected the proposal. 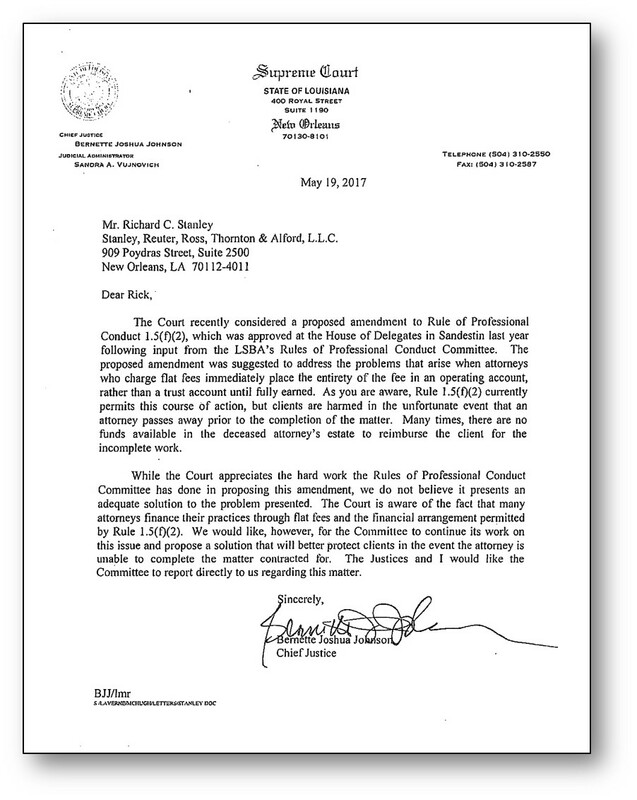 In a letter dated May 19, 2017, the court noted that it appreciated “the hard work the Rules of Professional Conduct Committee has done in proposing this amendment, we do not believe it presents an adequate solution to the problem presented.” See LASC Letter to Stanley (May 19, 2017). As a result, it asked the committee “to continue its work on this issue and propose a solution that will better protect clients in the event the attorney is unable to complete the matter contracted for.” Id. Recommends a revision to Rule 1.5(a) that expressly prohibits the designation of any payment (of fees or costs) as “nonrefundable.” Id. Recommends a revision to Rule 1.5(f)(2) that would require fixed-fee and minimum-fee agreements to be “set forth with specificity in a writing signed by the client,” and that would require the lawyer to provide a copy of the signed agreement to the client. Id. Recommends a revision to Rule 1.5(f)(2) that would require fixed fee and minimum fee payments to be “placed in the lawyer’s trust account until earned.” However, it would permit the lawyer, “with the informed consent of the client,” to “set reasonable milestones occurring during the representation to allow these funds to be transferred from the trust account to the operating account as fees are earned.” Such transfers would be permissible “without further authorization from the client for each transfer,” subject to “periodic accounting in writing to the client for these funds as is reasonable under the circumstances.” Id. As of early January 2019, the Louisiana Supreme Court still has the matter under advisement and no action is anticipated in the near term. On October 18, 2018, LSBA President Barry H. Grodsky distributed a “newly updated” LSBA Code of Professionalism. 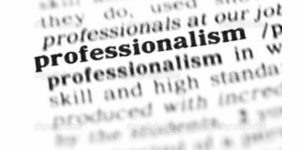 See LSBA Code of Professionalism (2018); see also Resolution Proposed by the Committee on the Profession to Amend Code of Professionalism (approved by LSBA House of Delegates on Jan. 20, 2018) (redline of changes). According to Mr. Grodsky, the code, “[w]hile maintaining the basic principles set previously,” has “been brought into the 21st Century and addresses issues no one considered twenty-five years ago. It still embodies the basic tenets of professionalism and maintains a firm basis in our Bar’s motto: ‘Serving the Public and Serving the Profession.’” See Email from Barry H. Grodsky to LSBA Membership (Oct. 18, 2018). To work “to protect and improve” the image of the profession, and the system of justice. To seek to serve the bench, the bar, and the indigent. To support new members in the profession. On August 6, 2018, the ABA House of Delegates adopted a resolution from its Standing Committee on Ethics and Professional Responsibility to amend the lawyer-advertising provisions of the ABA Model Rules of Professional Conduct. See ABA Resolution 101 (Revised) as Adopted (Aug. 6, 2018). The amendments modernize model rules that have been in place for decades. Permitting lawyers to give “nominal gifts as an expression of appreciation” that are “neither intended nor reasonably expected to be a form of compensation for recommending a lawyer’s services.” See id. r. 7.2(b)(5). 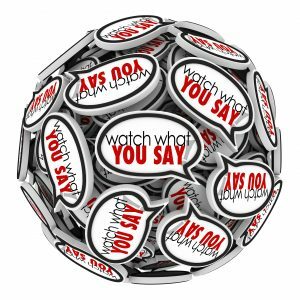 Comment 4 clarifies that this new rule “permits lawyers to give nominal gifts as an expression of appreciation to a person for recommending the lawyer’s services or referring a prospective client. The gift may not be more than a token item as might be given for holidays, or other ordinary social hospitality. A gift is prohibited if offered or given in consideration of any promise, agreement or understanding that such a gift would be forthcoming or that referrals would be made or encouraged in the future.” Id. cmt. 4. Defining and clarifying solicitation rules. 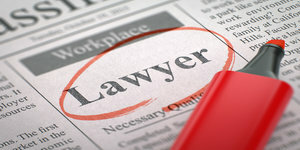 First, the new rule defines “solicitation” or “solicit” as “a communication initiated by or on behalf of a lawyer or law firm that is directed to a specific person the lawyer knows or reasonably should know needs legal services in a particular matter and that offers to provide, or reasonably can be understood as offering to provide, legal services for that matter.” Id. r. 7.3(a). Second, the rule prohibits “live person-to-person contact.” Id. r. 7.3(b). The comment clarifies that “’live person-to-person contact’ means in-person, face-to-face, live telephone and other real-time visual or auditory person-to-person communications where the person is subject to a direct personal encounter without time for reflection. Such person-to-person contact does not include chat rooms, text messages or other written communications that recipients may easily disregard.” Id. cmt. 2. Third, the revised rule permits live person-to-person solicitation of a “person who routinely uses for business purposes the type of legal services offered by the lawyer.” Id. r. 7.3(b)(3). The comment clarifies that this includes persons who “routinely hire outside counsel to represent the entity; entrepreneurs who regularly engage business, employment law or intellectual property lawyers; small business proprietors who regularly routinely hire lawyers for lease or contract issues; and other people who routinely regularly retain lawyers for business transactions or formations.” Id. cmt. 5. Eliminating the labeling requirement (“ADVERTISEMENT”) for targeted mailings, but prohibiting such mailings that are misleading or that involve coercion, duress or harassment. See id. r. 7.3(c). The comment clarifies that “person-to-person contact of individuals who may be especially vulnerable to coercion or duress is ordinarily not appropriate, for example, the elderly, those whose first language is not English, or the disabled.” Id. cmt. 6. 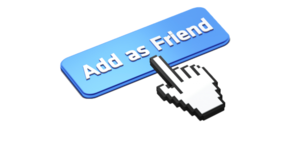 On November 15, 2018, the Florida Supreme Court finally resolved a conflict among Florida lower courts on the issue of whether Facebook “friendship” is a sufficient basis for judicial disqualification. SeeLaw Offices of Herssein and Herssein, P.A. v. United Services Automobile Assoc’n, No. SC17-1848 (Fl. Nov. 15, 2018). Said the Florida Supreme Court: “We hold that an allegation that a trial judge is a Facebook ‘friend’ with an attorney appearing before the judge, standing alone, does not constitute a legally sufficient basis for disqualification.” Id. at 2.